If you’re a senior market insurance industry professional, chances are you’ve already heard about the changes that the Centers for Medicare and Medicaid Services (CMS) plan to introduce to Medicare Advantage (MA) for 2017. 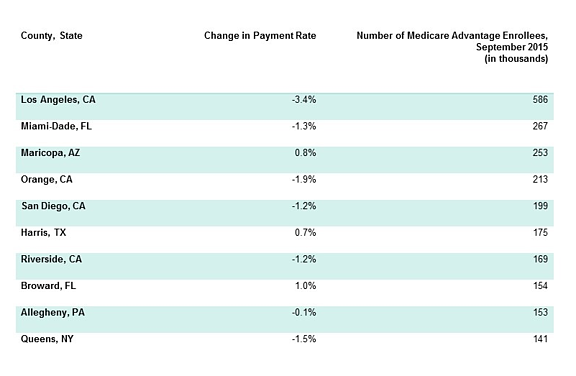 A new analysis from Avalere Health proposed that the suggested modifications to MA could result in large changes in payments for beneficiaries in certain geographic areas. So, how exactly would the risk adjustment affect the pockets of your senior clients? Through a process called risk adjustment, CMS fine-tunes its payments to plans based on the expected healthcare costs of each plan’s beneficiaries. For each Medicare beneficiary, the agency calculates a risk score that measures the expected healthcare costs for that individual. The higher the risk score, the greater the expected health care costs, and hence the greater the Medicare payments the government makes to the plan. 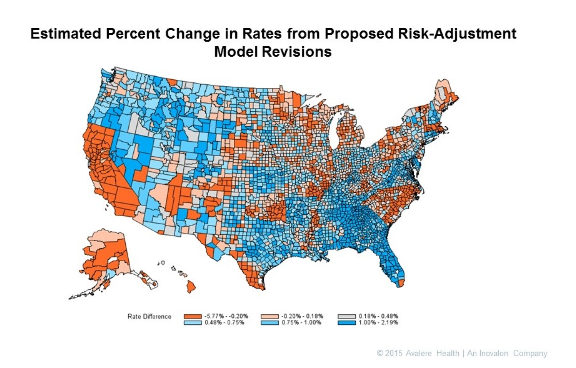 This means that plans are paid less for a lower risk score and more for a higher risk score. 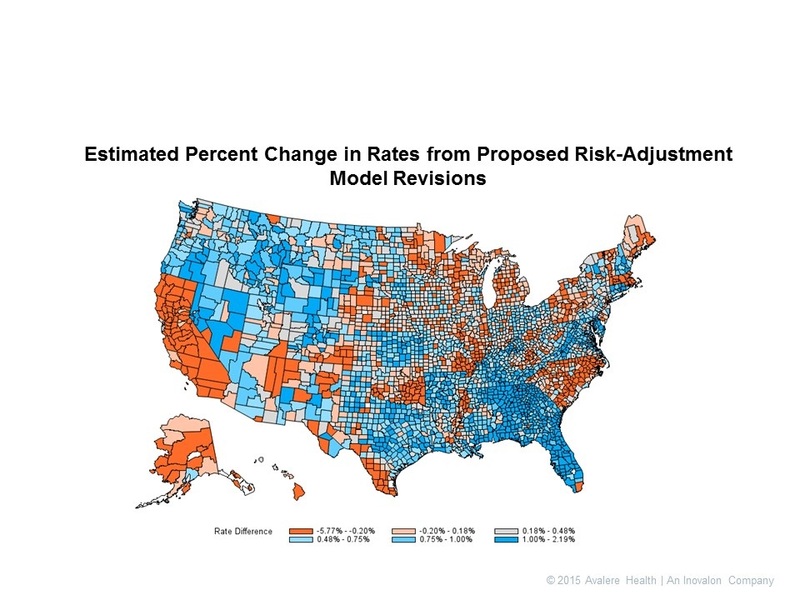 The agency has proposed changes to its risk adjustment model in an effort to address underpayments for certain low-income Medicare beneficiaries (“dual eligibles”), who tend to have higher healthcare costs than other individuals. It creates geographic adjustments in payment, called "county benchmarks"
As a result of differences in how states cover dual eligibles, the changes could increase payments for some plans, while dramatically reducing payments for others. The country benchmarks adjust payments for beneficiaries depending upon their location to account for regional variations in the cost of healthcare. 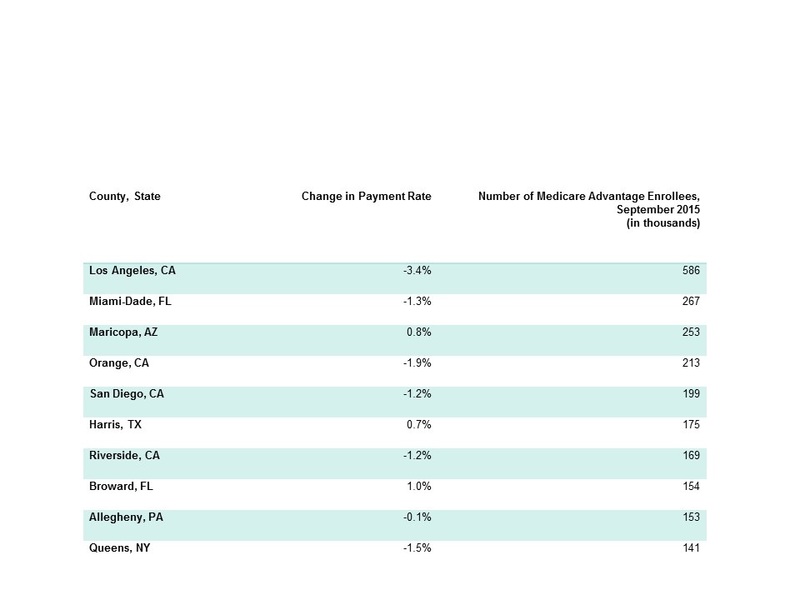 In their analysis, Avalere estimates that seven of the 10 counties with the largest MA enrollment as of September 2015 would experience a lower payment rate from the proposed adjustments. For example, Los Angeles would see a decrease of 3.4 percent. Avalere experts also note that the decrease could mean substantial reductions in additional benefits for beneficiaries in this county. The difference between the bid and the benchmark will be reduced, creating fewer opportunities for those rebate-funded benefits and, in turn, fewer additional benefits. 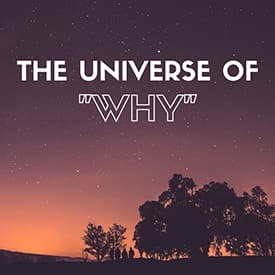 Earlier this week, LifeHealthPro put out an article regarding the power of “why” in the insurance industry, which highlighted some key points found within an all-time favorite business book, “Start with Why” by Simon Sinek. Sinek’s TED Talk on the exact subject, called “The Golden Circle”, is something most certainly all insurance agents should watch. The simplicity of “The Golden Circle” makes the philosophy easy to understand, however many insurance agents become puzzled in the attempt to apply it to their own business. Every insurance agent knows what they do and can clearly explain how they do it, but few know why they do it. For us, it's because we feel that agents are the backbone of the senior market insurance industry and are committed to meeting their distribution, marketing and administrative needs on a national scale. If you can’t answer that question confidently, PSM has crafted it into an out-of-this-world infographic to give you some help. Check it out!